Garden of Aaron: Enjoy It While It Lasts - Winter Jasmine, Hellebores, Daffodils, 'Georgia Blue' Speedwell, Boxwood Flowers and More! 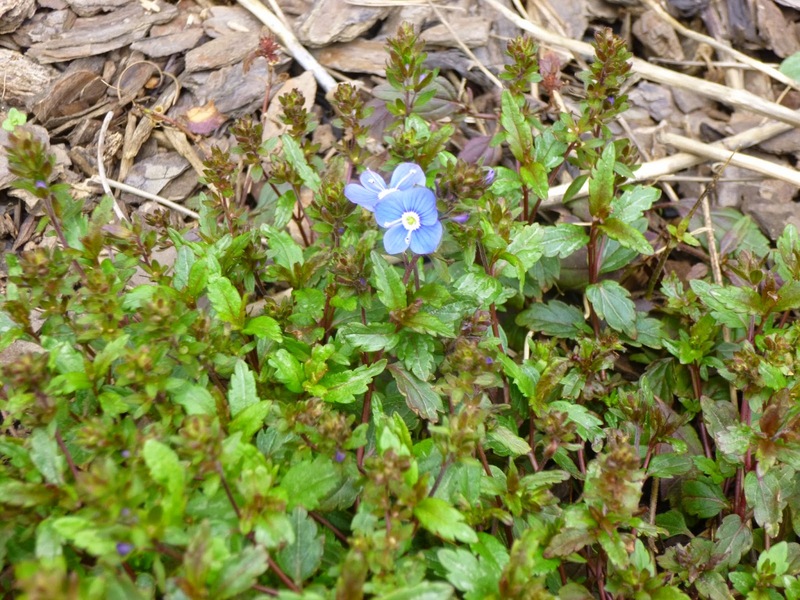 Enjoy It While It Lasts - Winter Jasmine, Hellebores, Daffodils, 'Georgia Blue' Speedwell, Boxwood Flowers and More! After a harsh winter (especially last month - 8th coldest February on record in Tennessee) we have been basking in above-average temperatures for the past couple of weeks. Yesterday's high temperature was 77 (Fahrenheit). The previous day was 73. Last week, we hit 80. As a result, leaves, buds and flowers have been bursting out all over, making for a lot of pretty pictures (see below). Unfortunately, temperatures are supposed to take a nose dive later this week. We're expecting lows in the 20s (perhaps as low as 23) on Friday night and Saturday night. Usually, I am what you'd call a Darwinian gardener - I let plans thrive or die with minimal intervention. (Well, I water them for a season to get them established, but I don't spray or coddle after that.) But in this case, I'm tempted to try throwing a sheet over the crabapple tree. 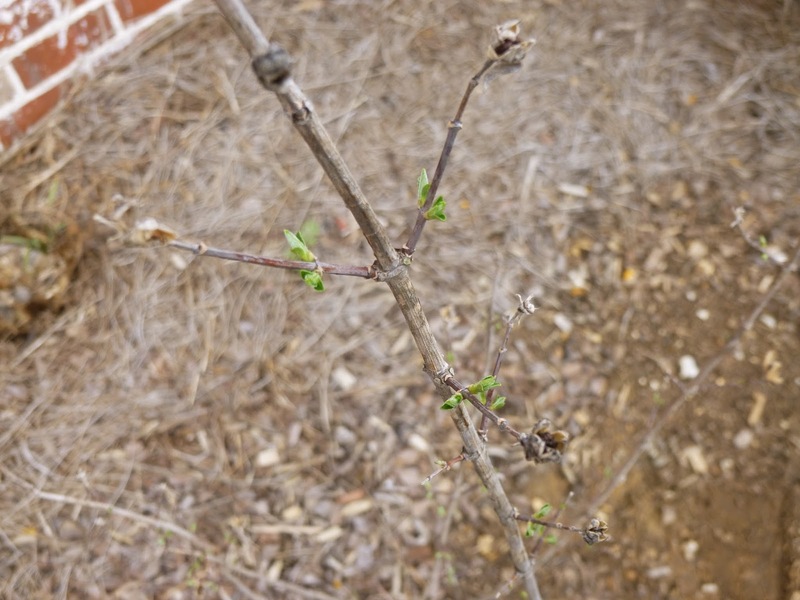 It's loaded with buds and I'm worried that many of them will be killed in the cold snap. 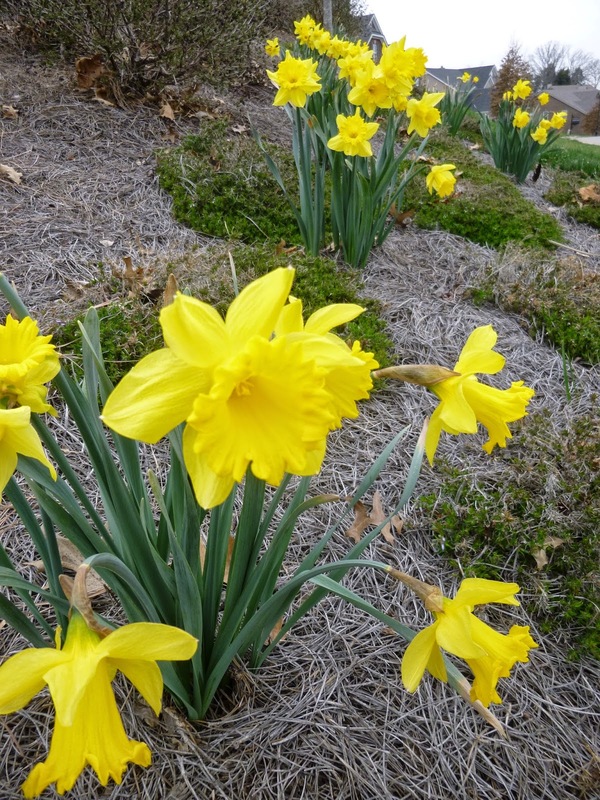 For now, enjoy these signs of Spring! 'Honey Bee Blue' Agastache (I believe A. rugosa). Purchased three from a local nursery last year, they all seem to be coming back nicely. 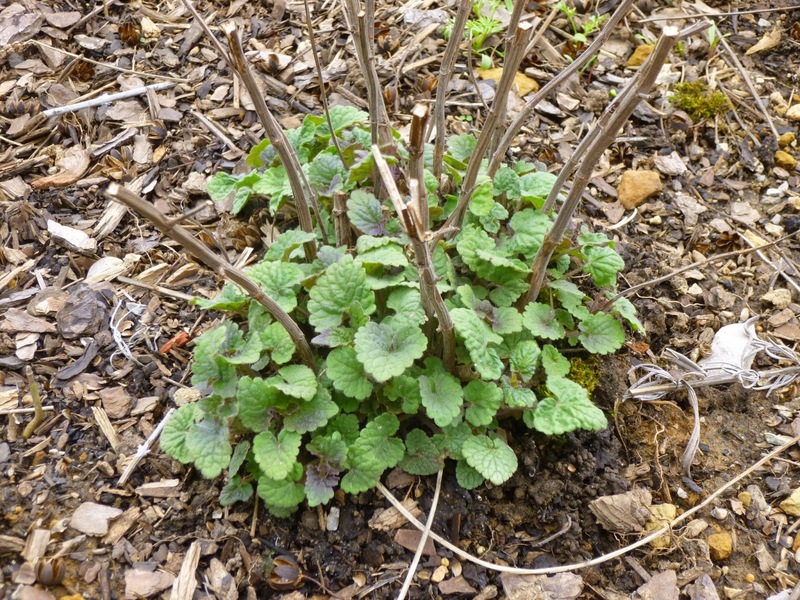 I'm pretty sure this is Agastache foeniculum 'Golden Jubilee' (anise hyssop), but the leaves should be emerging a chartreuse color. So perhaps the original plant has died and the seedlings have reverted to the species A. foeniculum? 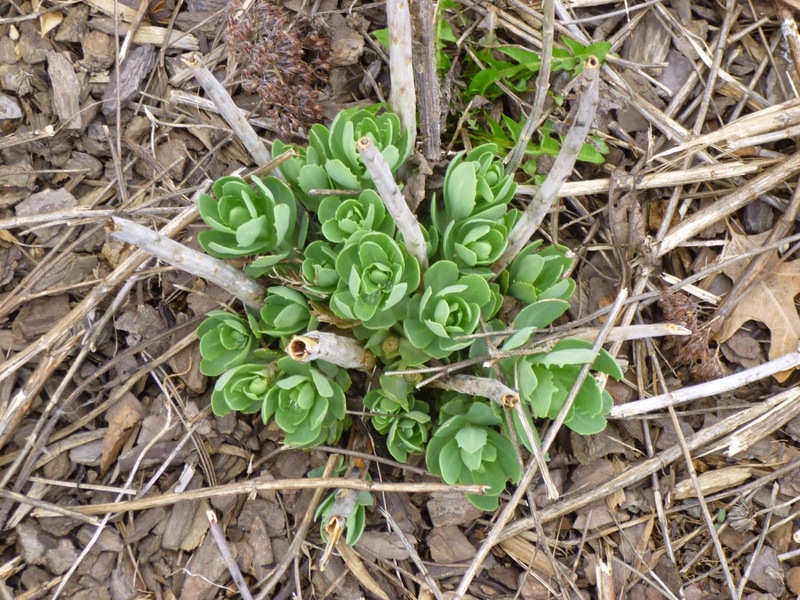 (Prairie Nursery does call the species a biennial.) 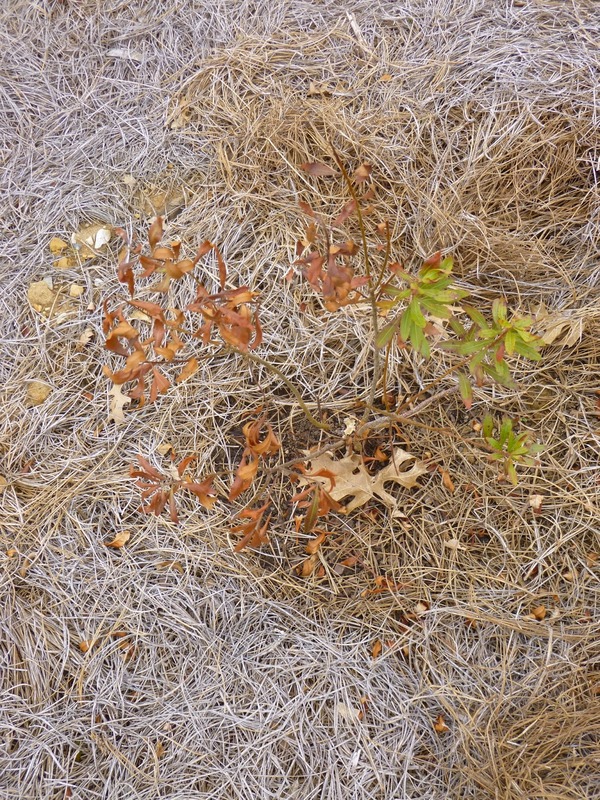 I'll post an update later in the year as to the foliage color as these seedlings mature. I'll admit it, generally I think boxwoods (Buxus) are boring and overplanted. 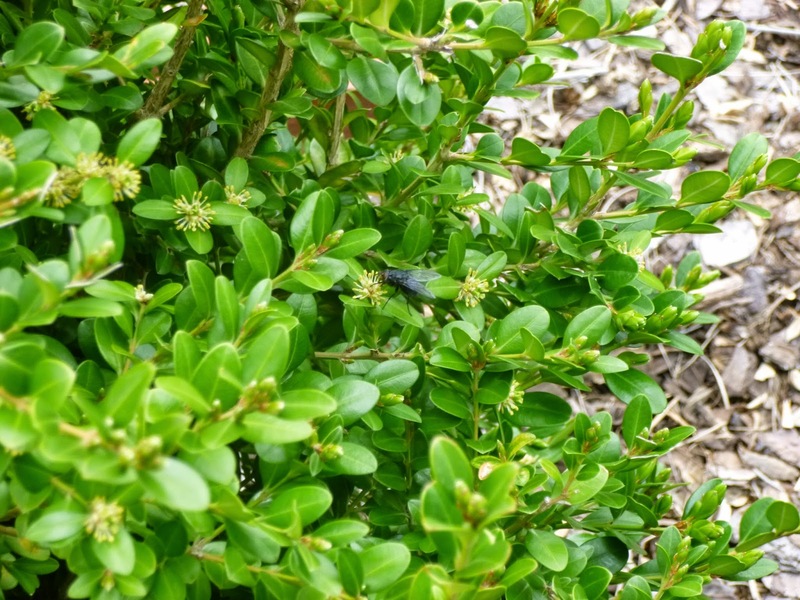 Yet, the thing I like most about boxwoods is probably what other people overlook - not their bland evergreen foliage, but their sweetly-scented spiky flowers that attract pollinators such as bees and (as you can see here) other insects including flies. Flies don't get much respect, but I'm sure they have a bigger role to play in the world than landing on our picnic lunches. And here's a bee (honeybee?) 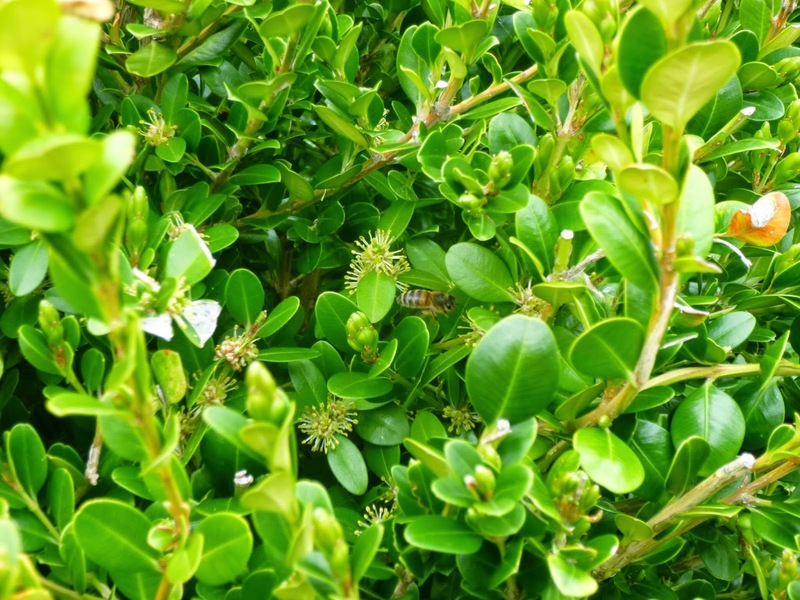 buzzing in the boxwood. 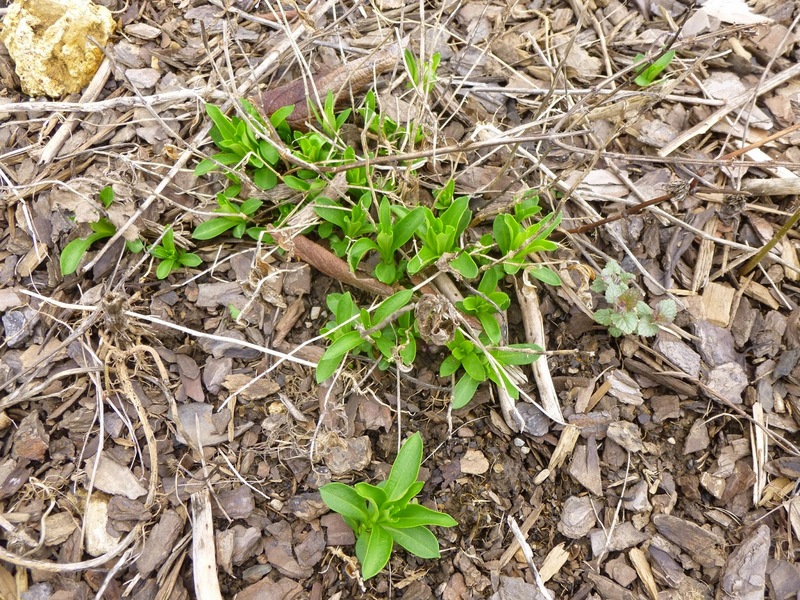 Purple coneflowers (Echinacea purpurea) are coming up throughout the garden, both as returning perennials and new seedlings. Again, love and encourage the reseeding. 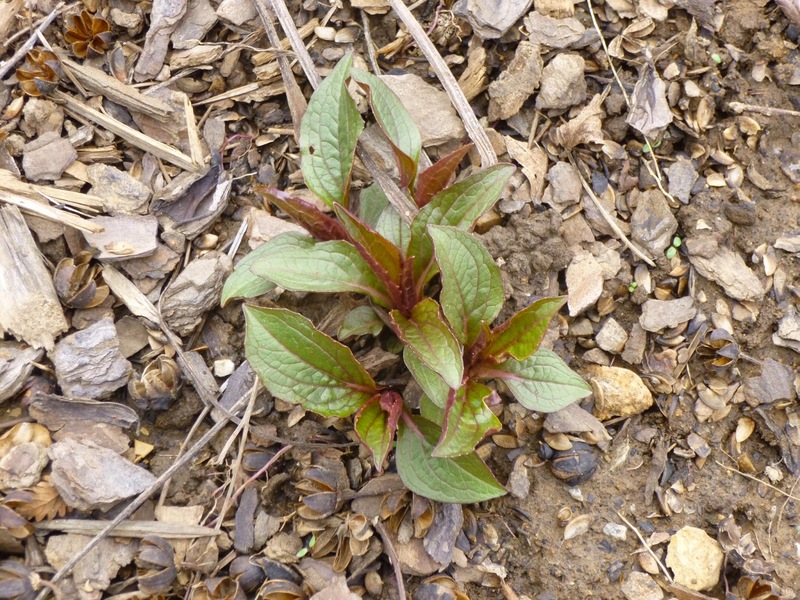 I'm also happy that the new seedlings are easy to spot and identify, unlike some species where you have to wonder for a while whether you're growing a desirable plant or nurturing weeds. 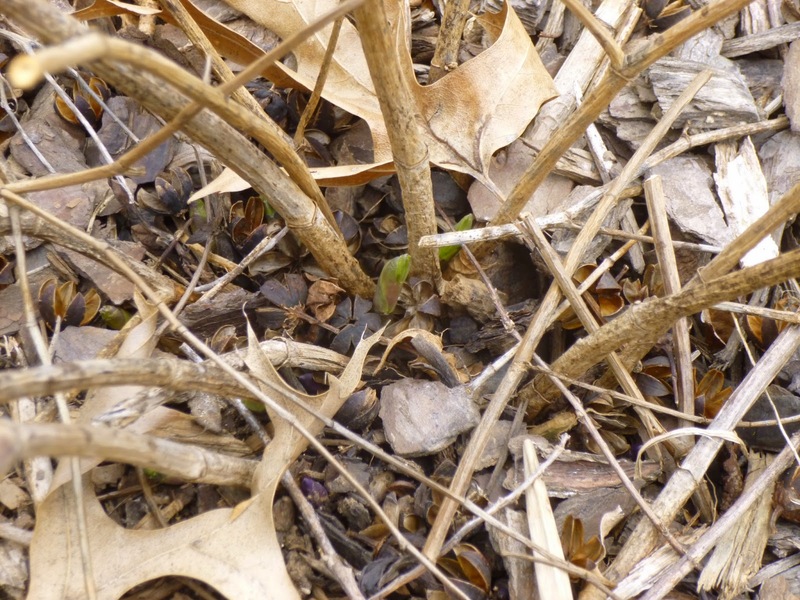 Look closely at the base of these stems and you could spot new growth emerging on Baptisia australis (blue false indigo). 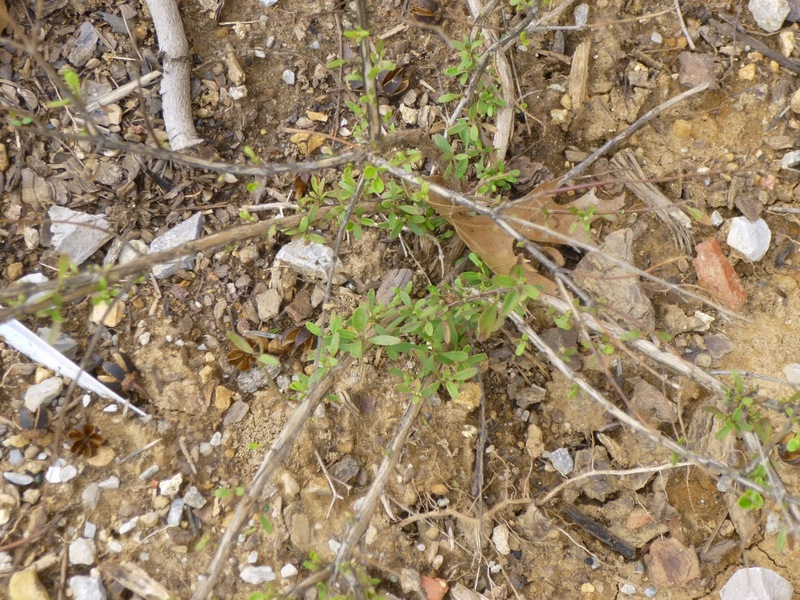 Although B. australis reportedly prefers well-drained soil and full sun, it seems to have done pretty well for a couple of years now in our heavy clay soil with a bit of shade from a neighboring crape myrtle tree. 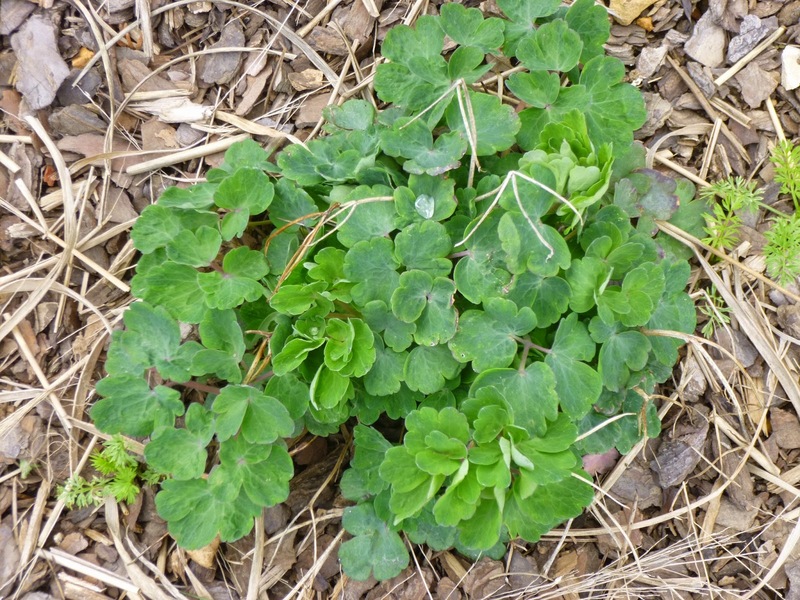 Note that the new growth can look a little bit like asparagus, but there is evidence that Baptisia is poisonous (for people) and should not be eaten! 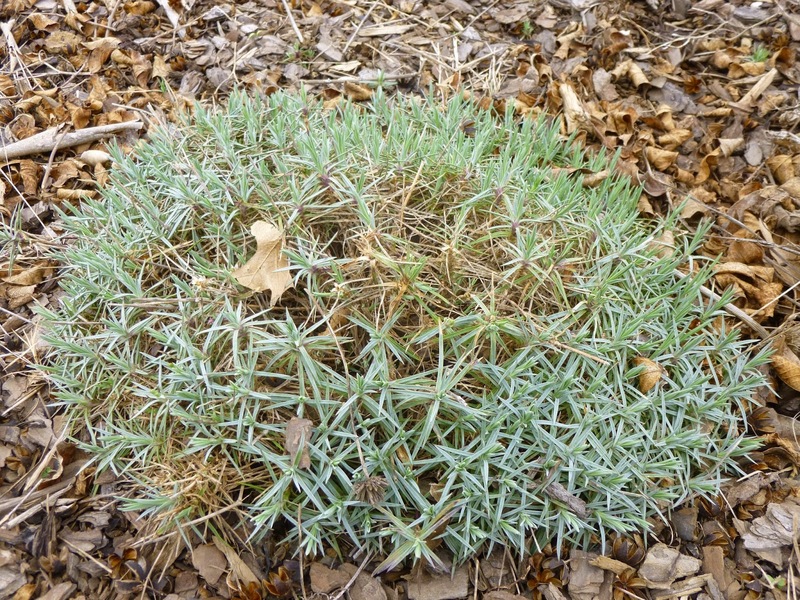 So to avoid a potentially dangerous misidentification, don't plant this anywhere near your asparagus patch! 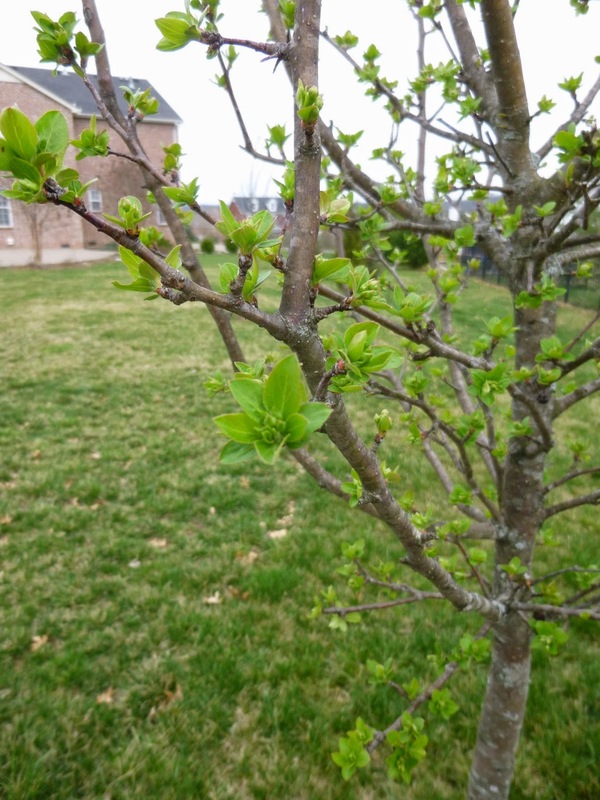 Beautiful foliage and buds on the 'Sugar Tyme' crabapple. This is the one where I don't know whether I should try to provide some protection from the upcoming cold snap or stay true to my Darwinian ethos. 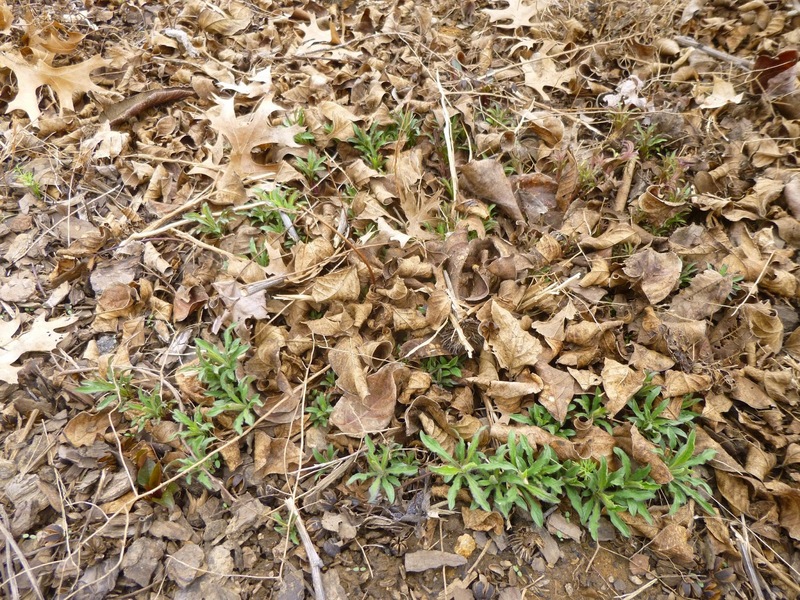 Most of the year I'm neutral-to-negative on daylilies (overplanted, high-maintenance, don't seem to have much wildlife value), but I always appreciate the lush, fresh new foliage in March that leaps out of the ground when many other perennials are still snoozing. 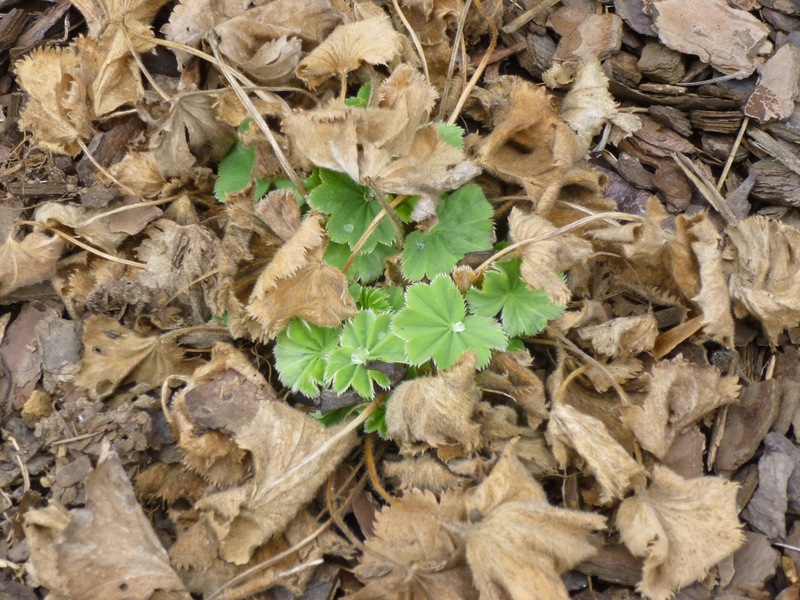 Geranium sanguineum (bloody cranesbill) - planted three tiny specimens of the 'Vision Violet' cultivar last year. They struggled a bit as they had to compete with a rampant patch of cherry tomatoes, but they all seem to have returned bigger and stronger than last year, so that's a good sign. 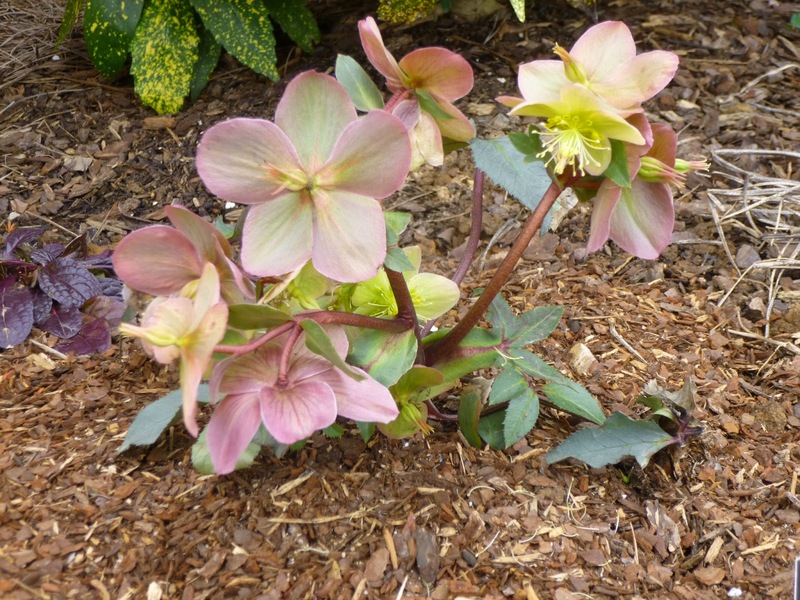 Added a couple of hellebores to the garden last month. Of course, I planted them just before our temperatures crashed below average and stayed there for weeks with temperatures dipping into the single digits multiple times. Since these had been growing in an unheated greenhouse and hadn't had a chance to harden off, I assumed they would be goners. I covered them cardboard boxes (weighted down by bricks) that subsequently got soaked by rain and collapsed by ice. When I gathered the courage to remove the boxes after a few weeks, the hellebores looked fit as a fiddle. These are some tough plants! Philadelphus x virginalis 'Natchez' (mock orange) - Bought this from a sale section in autumn 2013 and got a great bloom last May. 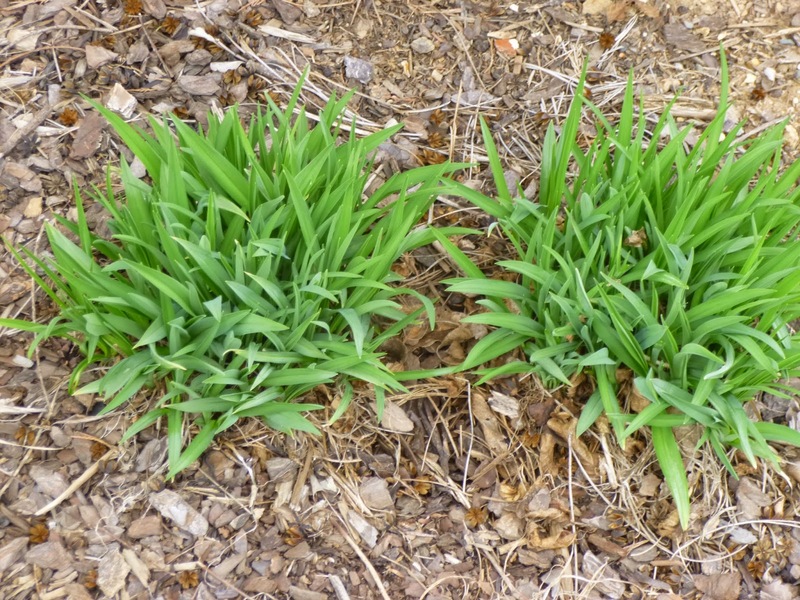 Then the plant just say there all last year, not growing an inch. I worried as to whether it had exhausted itself with the bloom and was on the road to ruin. 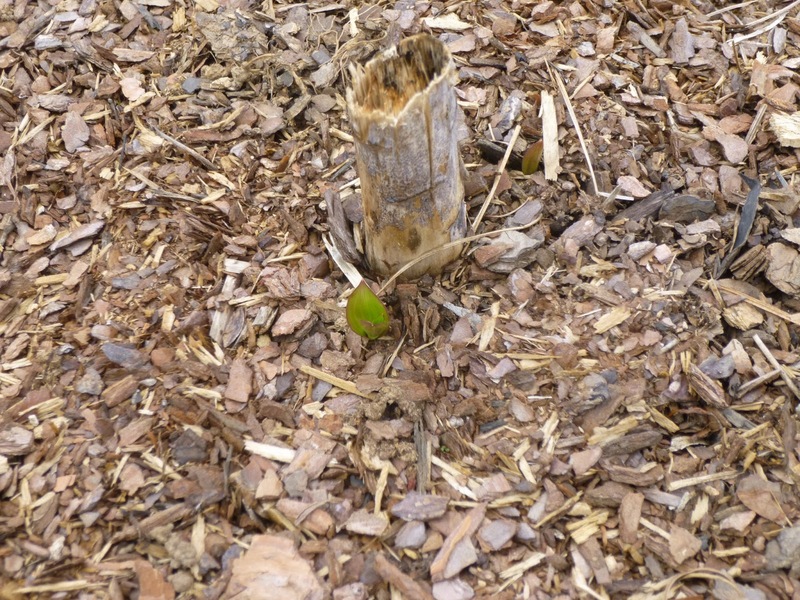 Then late in the season, it sent up a sucker about six inches with fresh new leaves. Was that a good sign or did it mean all the old growth had died off? Well, so far, things look good. I'm seeing all the old growth (and the new sucker) leafing out. 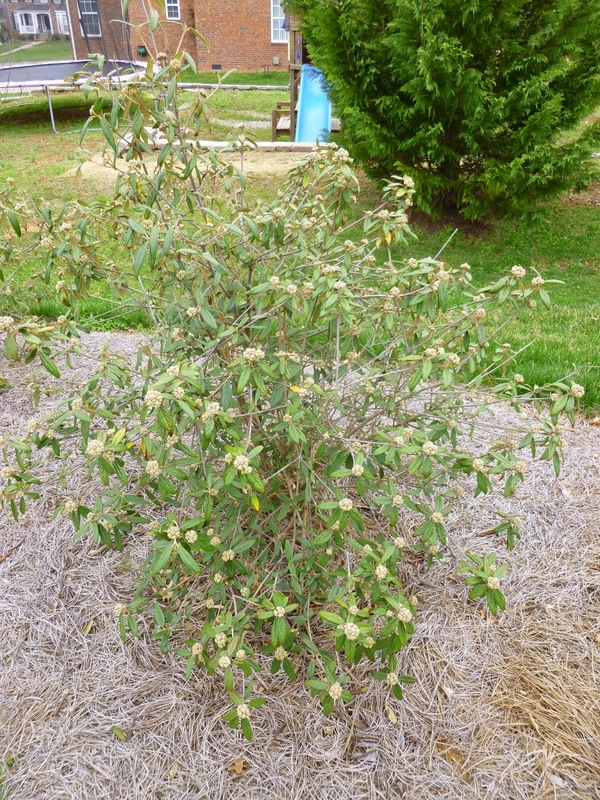 I'll remain optimistic on the mock orange. I don't know much about mosses, but I think they're fantastic from both a visual and tactile standpoint, so I try to encourage them in the garden. 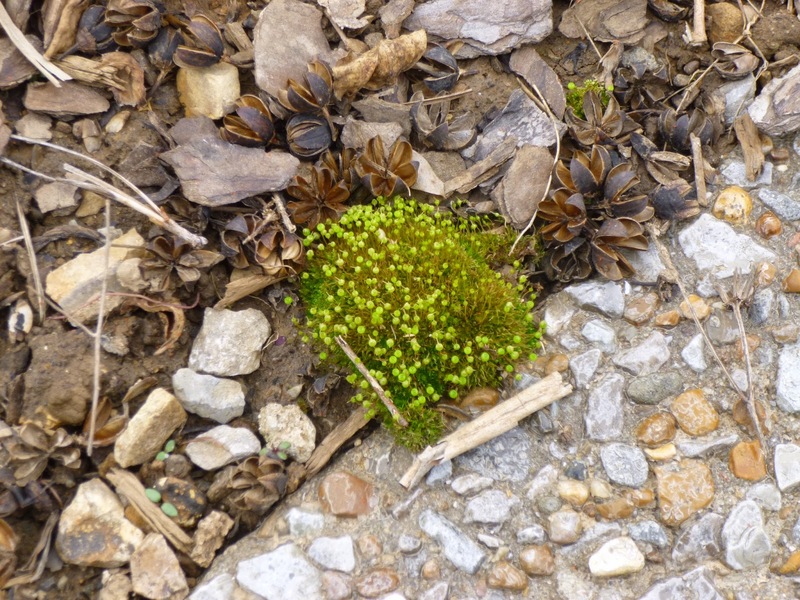 I don't know how to identify this moss, but it seems to be entering its reproductive stage where sporophytes will release spores that will hopefully help the moss spread around the garden! Symphyotrichum oblongifolium 'October Skies' emerging from under a winter blanket of leaves. I'm pleased to see that all three clumps of October Skies aromatic aster seem to have expanded nicely. Viburnum 'Pragense' (Prague viburnum). I had five of them planted last year. This is the most impressive one of the bunch and I'm still not impressed. 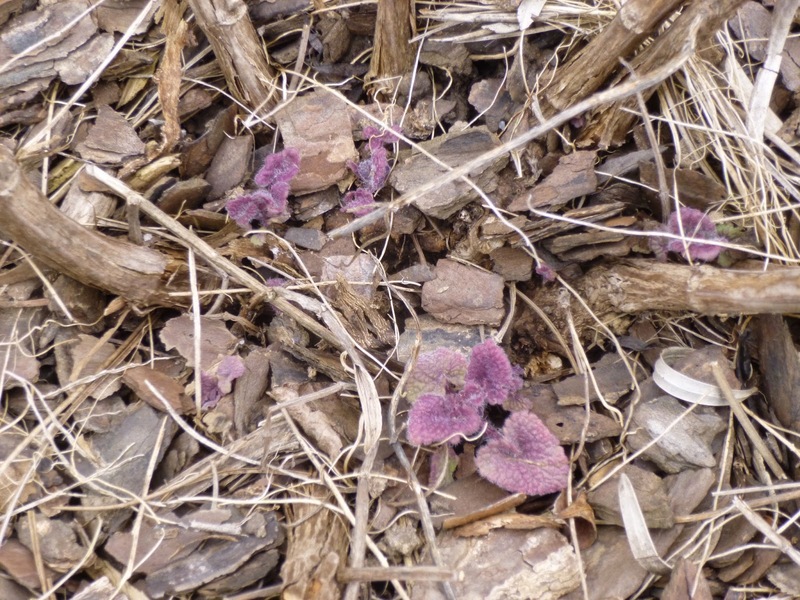 I'm pretty excited to see that this Salvia greggii (autumn sage) survived the winter. It's only marginally hardy in our zone and supposedly dislikes poorly drained soil (which is a big problem with our heavy clay). Still, it's one tough cookie and I'm pleased to see that it's back for another round. 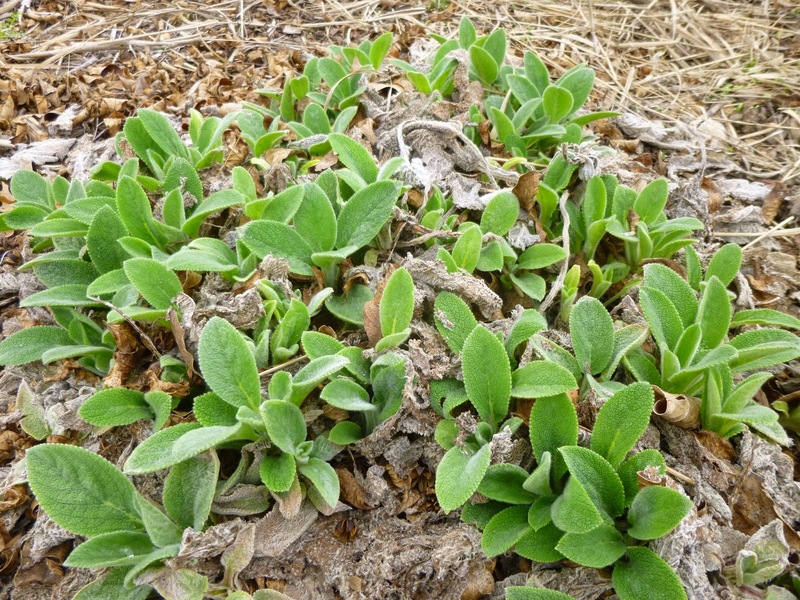 The other autumn sage I planted last spring seems to have died back closer to the ground, but I still see some new leaves near the base of that plant. 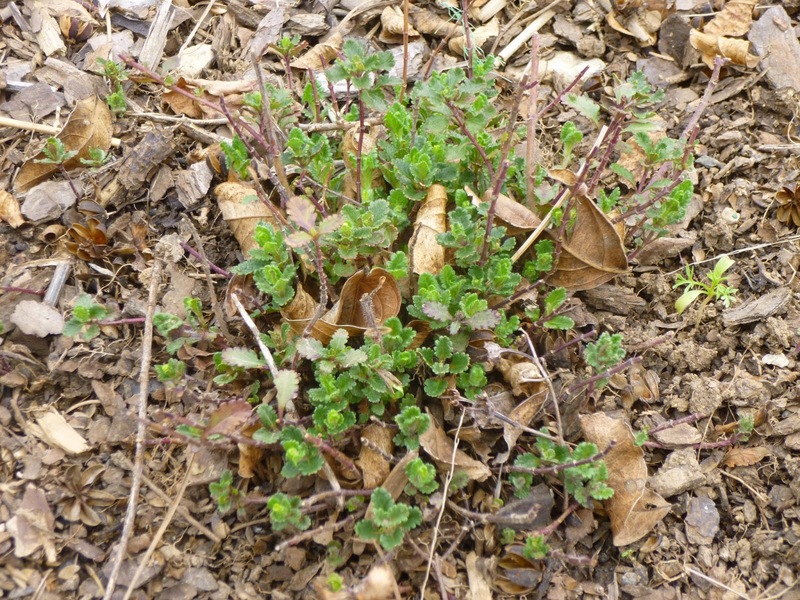 Native to the Mediterranean, Teucrium chamaedrys (wall germander) supposedly needs (prefers?) well-drained soil, but it seemed to cope pretty well in lightly amended heavy clay. 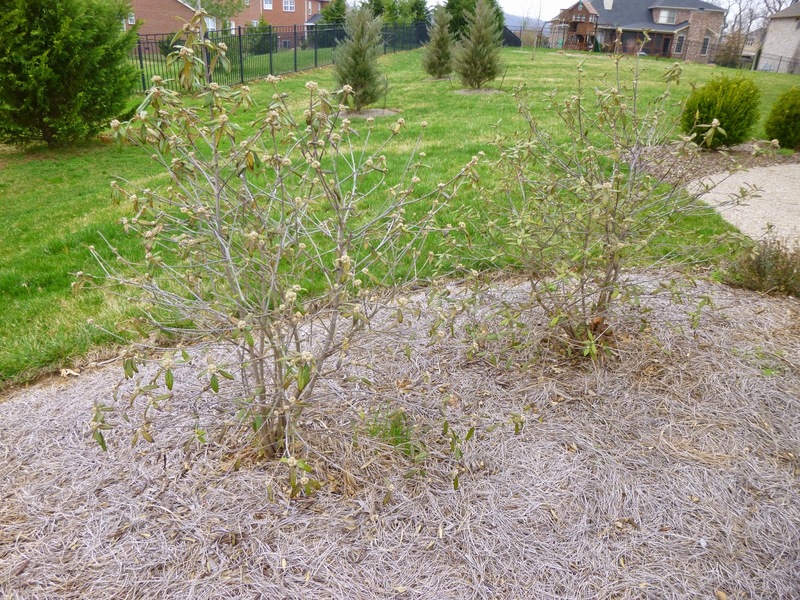 All three clumps survived the winter and stayed partially evergreen. 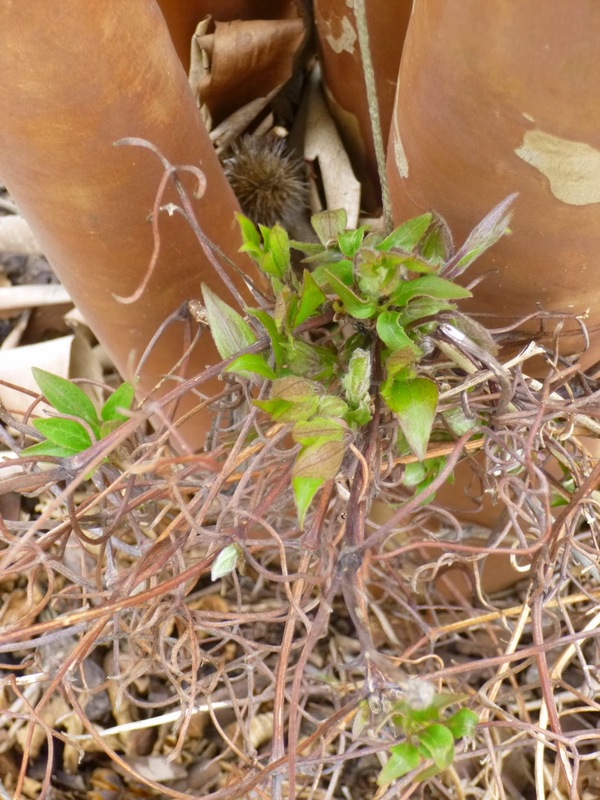 I cut off some of the damaged foliage to reveal this fresh new growth. 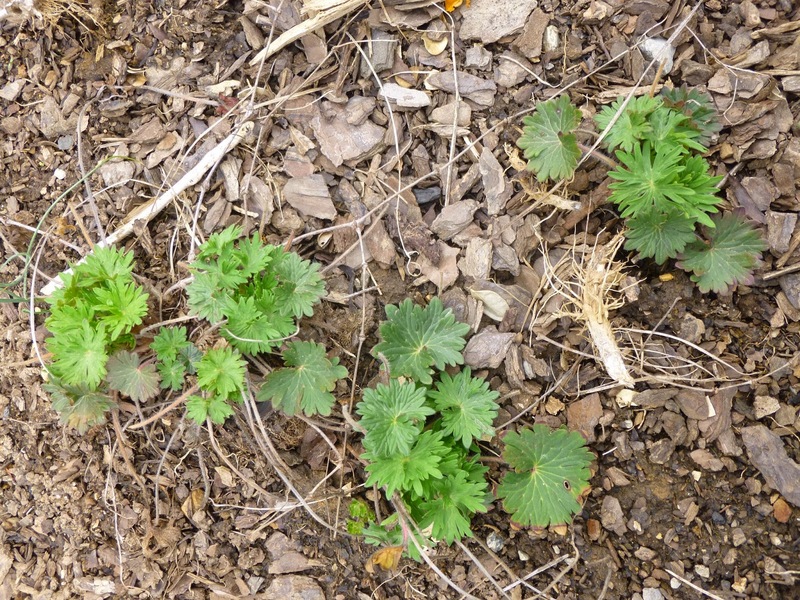 The clumps seem to be expanding at a measured, moderate pace. Jasminum nudiflorum (winter jasmine). 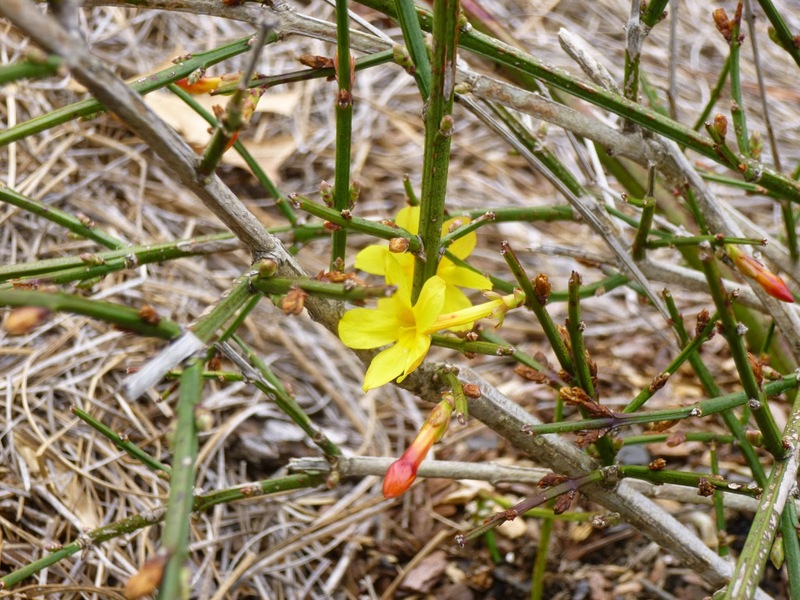 I'd read that winter jasmine might flower as early as December or January, and perhaps it would if we'd had a couple weeks of warm weather, but with temperatures at or below normal, it started flowering around the same time as the forsythia in mid-March. 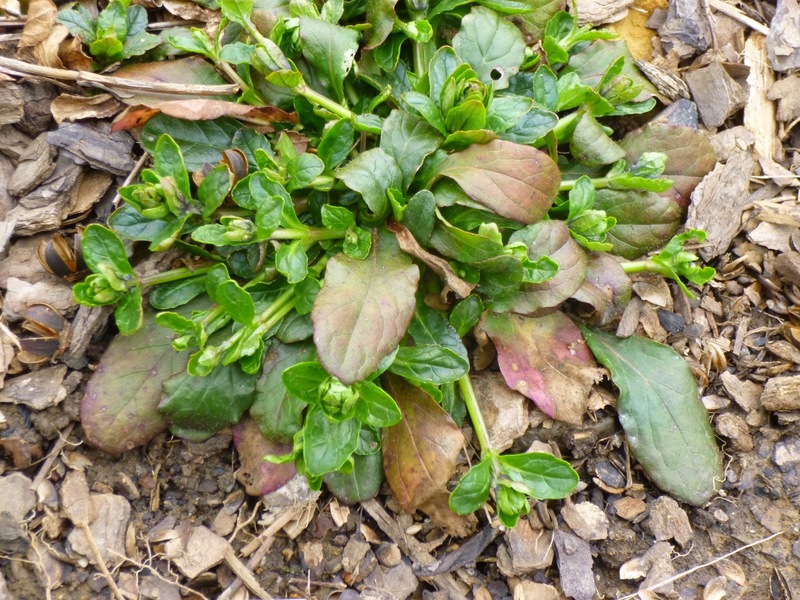 Bloom was sparse this year, with some of the buds frozen before they had a chance to open. The flowers are cheerful and I like the green stems, but the plant has a reputation for being aggressive in the garden. I'm not terribly enthusiastic after the first winter, but I'll take a wait and see approach and hope I'm bowled over next year (in a good way). Thank-you for the information. I live North of Dallas. You have given me wonderful ideas. May I recommend that you try Passion Vine? Thanks for your comment, Yvette. I have our native passion vine (Passiflora incarnata) on my list of plants to try. I'm a bit hesitant however after reading that it can spread rampantly by suckers. Have you had any issues with that?